Temple B’nai Jeshurun is pleased to welcome Rabbi Jeffrey K. Salkin as its scholar-in-residence during the weekend of August 24-26, 2018. Rabbi Salkin is recognized as one of the most thoughtful Jewish writers and teachers of his generation. He has helped people of all ages find spiritual meaning in both the great and small moments in life. A noted author whose work has appeared in many publications, including the Wall Street Journal, Reader’s Digest, and the Congressional Record. 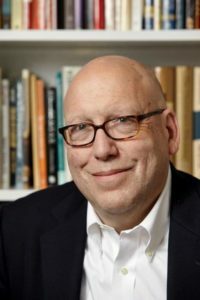 Rabbi Salkin is editor of A Dream of Zion: American Jews Reflect on Why Israel Matters to Them; and author of Being God’s Partner: How to Find the Hidden Link Between Spirituality and Your Work; and Righteous Gentiles in the Hebrew Bible: Ancient Role Models for Sacred Relationships, among other books. Israel without Apology – AKA, “The Jewish Boot Camp.” Are you equipped to have conversations about controversies related to Israel with family, friends, co-workers, and fellow students? Saturday morning, August 25 – 9:00 a.m.
“Why Are We Reading This, Anyway?” For far too many people, the texts of Torah and the Jewish Bible are confusing. This does not have to be the case.We can create the Jewish future by making sure that we all find our place in the Torah – perhaps, in ways that we could not have imagined. This program is based on the book, Text Messages: A Torah Commentary For Teens, as well as The JPS B’nai Mitzvah Torah Commentary, but the message about the relevance of our texts and traditions is just as meaningful for adults. “Fixing The Broken Hallelujah.” The music of Leonard Cohen is rooted deeply in the Jewish tradition. How does his life and work bear testimony to Judaism and what Jews can say to the world today? Join us for an evening of music and learning along with snacks and dessert. Sunday morning, August 26 – 10:00 a.m.
“Judaism Beyond Slogans.” American Jews use a lot of buzz words to describe their social justice commitments – tikkun olam, God’s image, loving the stranger. But, what do those terms really mean? And, do they really imply only one point of view on those issues? A controversial talk, with a healthy dose of nuance.